Michael Baisden’s attorneys, Daryl K. Washington and Aubrey “Nick” Pittman, announced on Monday, a jury in Houston Federal Court reached a verdict in the copyright lawsuit filed by nationally syndicated radio and TV personality Michael Baisden. The mixed verdict allows for the return of Baisden’s copyrighted rights and allows the best-selling author to proceed with upcoming movie and television projects. In the lawsuit, Baisden claimed damages from past conduct of I’m Ready Productions and Image Entertainment for the unauthorized distribution of DVD’s based on two of his best-selling novels. According to Baisden’s attorneys, I’m Ready Productions filed a counterclaim against Baisden seeking compensation related to a movie based on one of Baisden’s best-sellers that Baisden had originally planned to write and produce. According to the original lawsuit, I’m Ready argued that it had all rights to the stage-play versions of Baisden’s best sellers, The Maintenance Man and Men Cry in the Dark. Documents filed in the case also showed that I’m Ready Productions was marketing movie rights to these best sellers and entered into an agreement with Image Entertainment to do a film from one of the stageplays. In earlier arguments to the Court, the Court rejected I’m Ready’s arguments that it had the right to sell Baisden’s movie rights. Pittman noted that after the Court denied I’m Ready’s contention, the jury had to decide whether Baisden was entitled to monetary damages from the past conduct of the Defendants. The jury also had to determine whether I’m Ready Productions was entitled to any compensation from Baisden’s upcoming movie deals on his copyrighted works. In the end, the jury answered no to both questions. 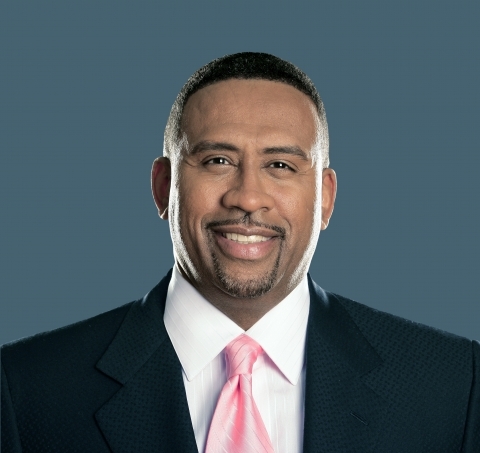 Michael Baisden is a recognized best selling author, nationally syndicated radio personality and TV talk show host. His high-octane energy and love for interacting with his listeners is just one reason for the popularity and success of the number one rated Michael Baisden Show, which is broadcast to over ten million listeners in over 76 affiliate stations across the country. Baisden is known for spearheading the historic Jena Six March and The Michael Baisden Foundation’s 2010 One Million Mentors National Campaign to Save Our Kids where he spoke in over 72 cities signing up mentors. For more information on Michael Baisden, go to http://www.BaisdenLive.com/ or join him at “Michael Baisden Live” on Facebook and “Baisden Live” on Twitter.